What Causes Black Spots on House Plants? 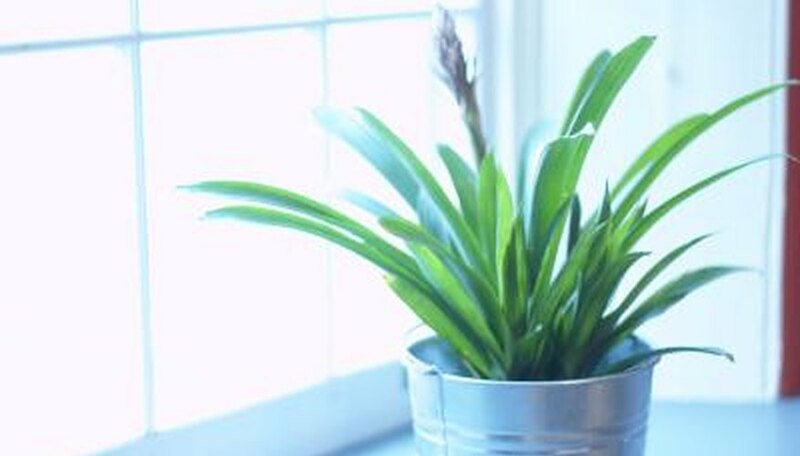 It is very common for houseplants to develop diseases when they are growing poorly or not given proper care. The black spots on houseplants are a common fungal disease. Leaf spot disease is caused by a fungi that cause black, brown or tan spots on leaves. Initially, small water-soaked spots start to appear on leaves and these gradually enlarge to resemble irregular blotches with yellow margins. In severe cases, the leaves turn yellow and die and then fall off. Extreme humidity causes bacteria to enter leaves through natural openings or wounds. Once inside, the bacteria start to rot and create black spots. After infection sets in, nothing can be done to cure the already created spots. However you can keep the disease from spreading by keeping the leaves dry. Precaution is the best way to keep leaf spot from appearing or spreading. Avoid misting plants unnecessarily and keep plants in rooms where there are few chances of condensation formation on leaves. Prune the affected stems and leaves. Do Japanese Maples Lose Their Leaves?